You have decided to take control of your health and begin a serious exercise regimen. This important step will be a big change to your body and routine, and as you know, consistency is key. However, as you begin this journey, you may experience frustration that your body is not performing as well as you had hoped, or that your progress is much slower than you anticipated. As a result, you may search for training principles to improve athletic performance so that you can see tangible results from your efforts. While carefully crafted training routines can help you improve, you may also be missing an important factor in your body’s make-up: your fascia. 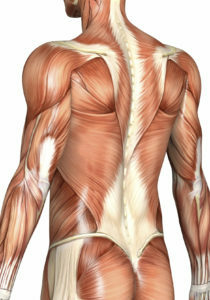 Your fascia, or the connective tissue that runs throughout your body, is responsible for keeping your body’s muscles, bones, and organs working in harmony. However, if parts of your fascia become thick and fibrous, they pull your body out of alignment. This can affect your flexibility, range of motion, and overall feeling of vitality. If you want to truly promote optimum performance at every level of your fitness journey, you need to address problems with your fascia, and the ideal way to accomplish this is through the practice of Rolfing®. Acknowledged by top athletes and dancers as one of their tips to improve athletic performance, Rolfing consists of deep tissue body work that breaks up fascial aberrations in order to bring the body back into alignment. Not only does this practice help restore vitality and improve physical performance, but it also can help with challenges such as rapid recovery from a sports injury. The best way to learn whether Rolfing can help you achieve your fitness goals is to consult with a Certified Advanced Rolfer®. In the greater Los Angeles area, Bob Alonzi helps athletes of all ages and fitness levels embrace true wellness through Rolfing. To learn more, or to get started, contact his office for a consultation and discover a better path to achieve your goals. ← How Do You Improve Bad Posture?